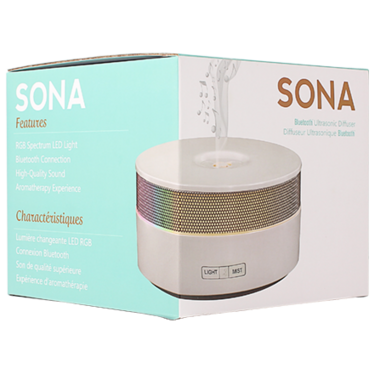 The Sona Diffuser works using ultrasonic technology to break up water and essential oils or aroma blends into extremely fine micro-particles, diffusing aroma into the air as mist without heat. With Bluetooth capabilities and high quality speakers, you can easily play music from your devices. 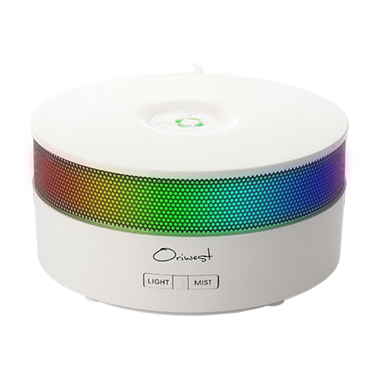 Easily creates a calming and relaxing mood in your home or workplace.